Arne Blystad’s Songa Bulk has acquired a pair of kamsarmax bulkers as it continues its rapid fleet build-up. The transactions also show how another acquisitive new name in the sector is becoming adept at asset plays. Songa Bulk snapped up the pair for a total of $32.85m, with one of the vessels built in 2008 at Japan’s Tsuneishi and the other built in 2011 at Hyundai Samho Korea. The Korean-built vessel is scheduled for delivery in May and comes attached with a $8,075 per day charter until November. Brokers report that the Japanese vessel acquired is the BW Grain from BW Dry Cargo, listing the price at $14.5m. BW acquired the vessel last September from Japanese owners for just $10.5m, profiting $4m in just six months. The other ship bought by Songa Bulk is the four-year-old Hanjin Rosario. Meanwhile, the company has chartered out 2011-built kamsarmax Songa Flama for one year at $9,880 per day commencing upon the vessel’s delivery next month. 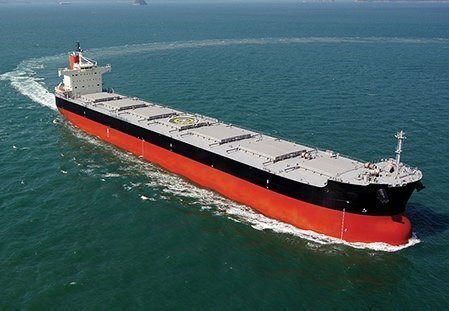 Songa Bulk now has a fleet of seven vessels, made up of two supramaxes and five kamsarmaxes.